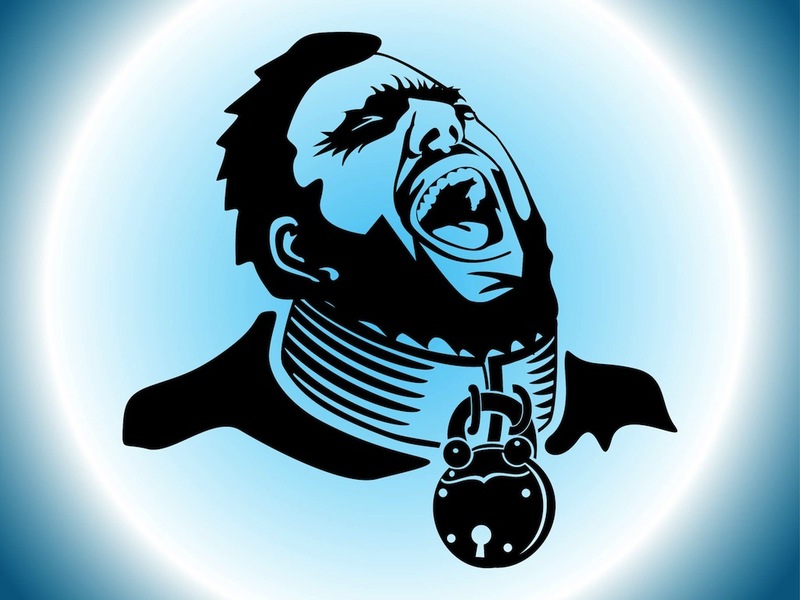 Slave vector graphics. Cartoon style vector portrait of an angry screaming man. Big metal restraining device on the prisoner’s neck, round padlock keeping it in place. Desperate scream, thick eyebrows and facial hair on the man. Free vector illustration for all your prisoners, prisons, hostages, anger and captivity design projects. Tags: Angry, Captive, Chain, Locked, Padlock, Prisoner, Scream, Slave.